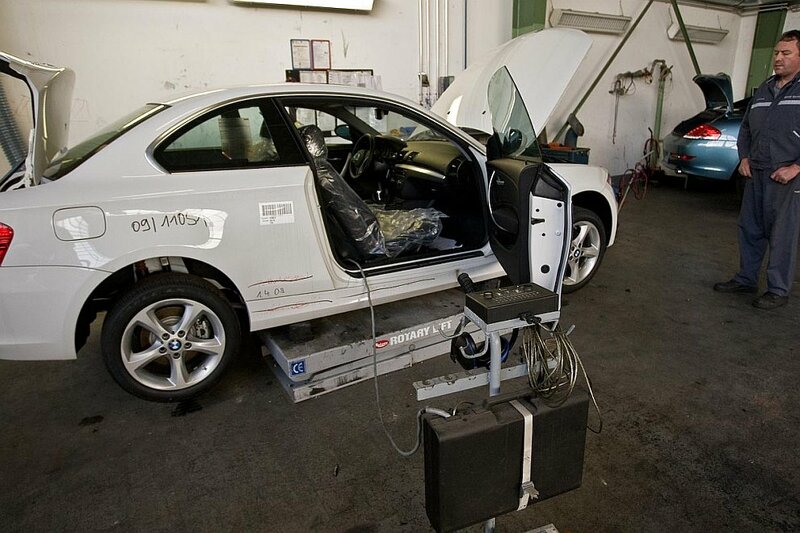 In Munich, there is a centre for dismantling and recycling of BMW cars. 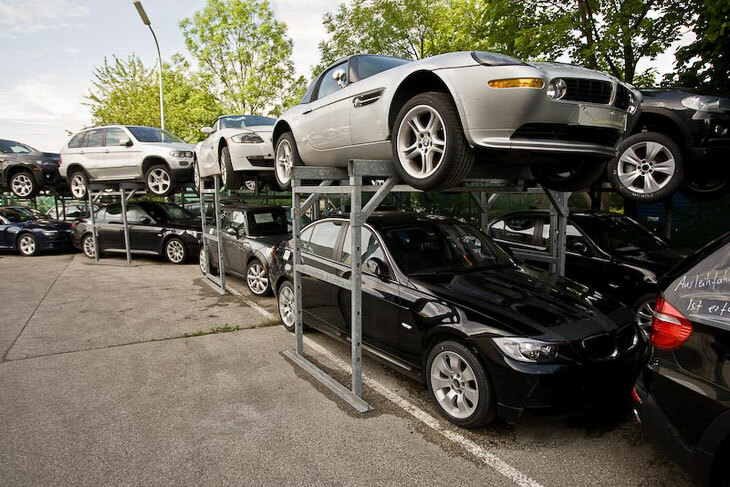 You can visit, and you will be shown the racks with new cars by the looks of it. In the nearest future they will disappear, dissolve in time, turn into dust. 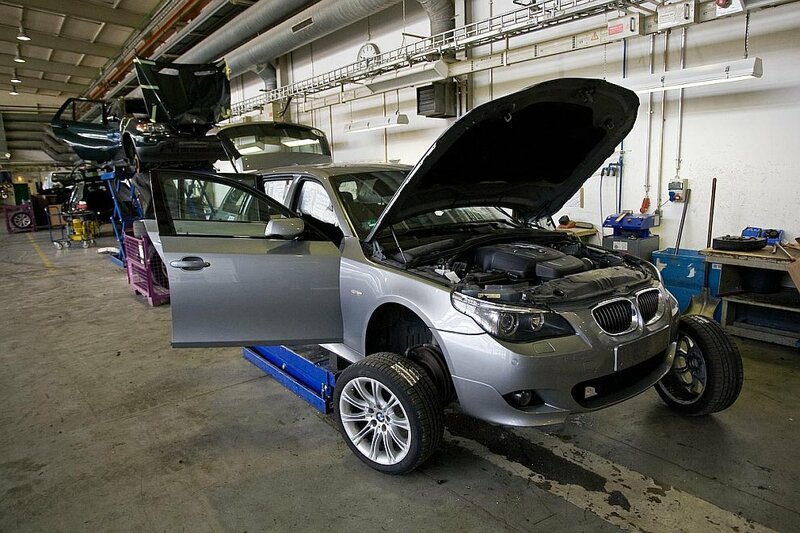 BMW does so with all its test cars and prototypes that have been tested and on which operation of new assemblies and technical solutions was checked. All of them now are waiting for one event – go under the press. But up to this point they have yet to tolerate a few humiliating procedures. The very best of Bavarian automobile construction is in the parking lot. It all starts here. On a special stand with external remote control connected to car computer, pyrotechnic squibs linked to airbags are exploded. Or as they say in the centre – their neutralization occurs. Including those that disconnect contacts from accumulator in the trunk. Wearing ear protection, the technician presses buttons on the remote. 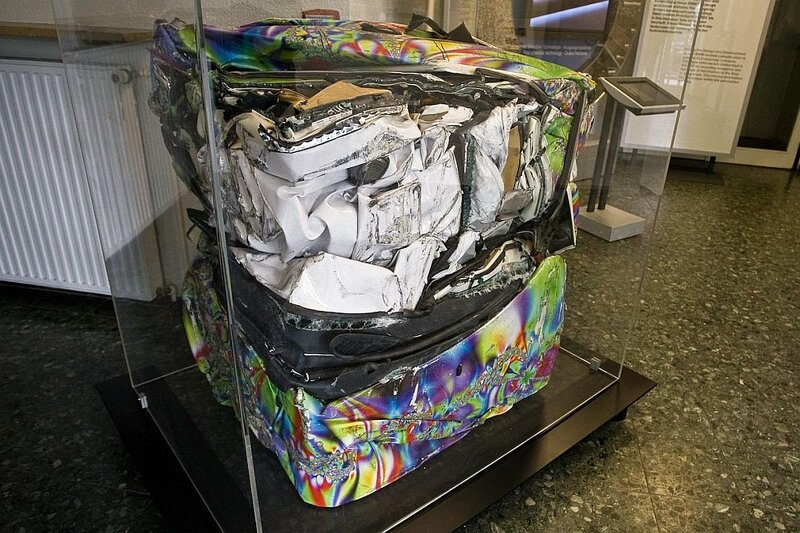 Airbags inside the car began to explode. A few seconds later it was all over. 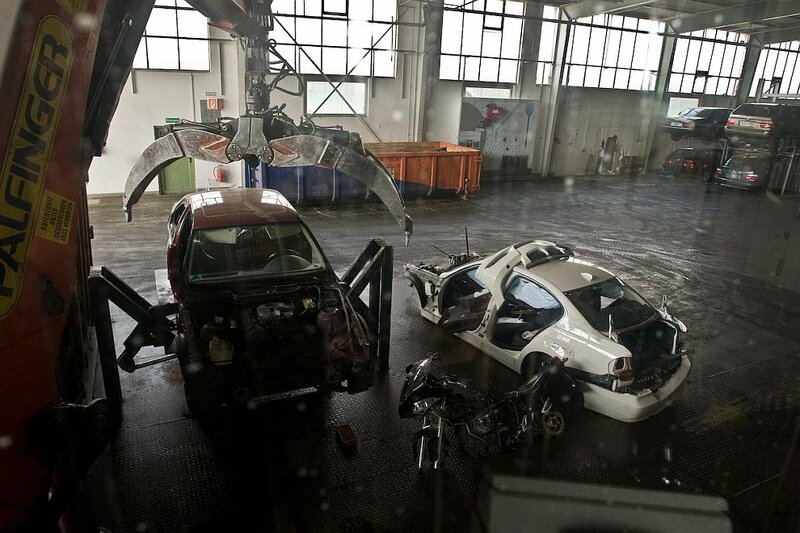 Everything is dismantled from these cars that might be useful in the future. All parts are passed to the stock of the research centre where they are used on new prototypes. The next operation is performed on a stand specially constructed for this. All liquids are pumped out of the car: gasoline, oil, antifreeze. The technician loosens all that can be unscrewed and drains all that can be drained. Gas tank is broken through using air hammer. 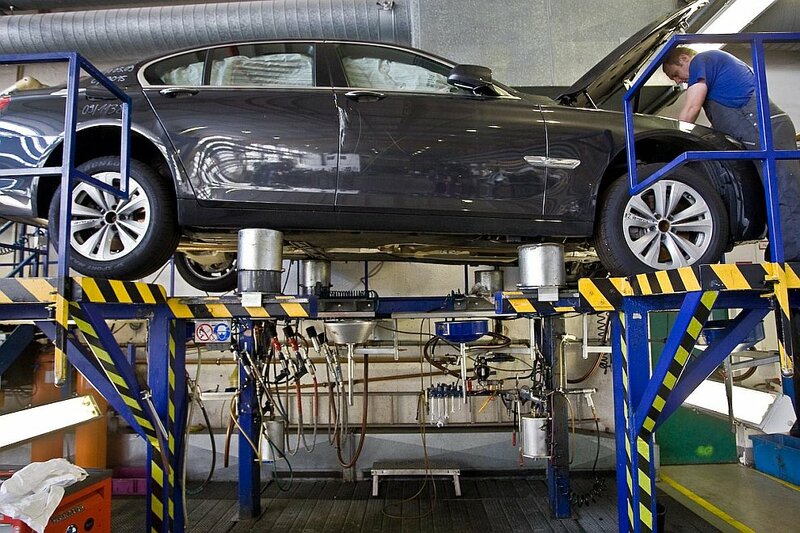 The car can be lifted at one side, in order for the fuel to be completely drained from the tank. 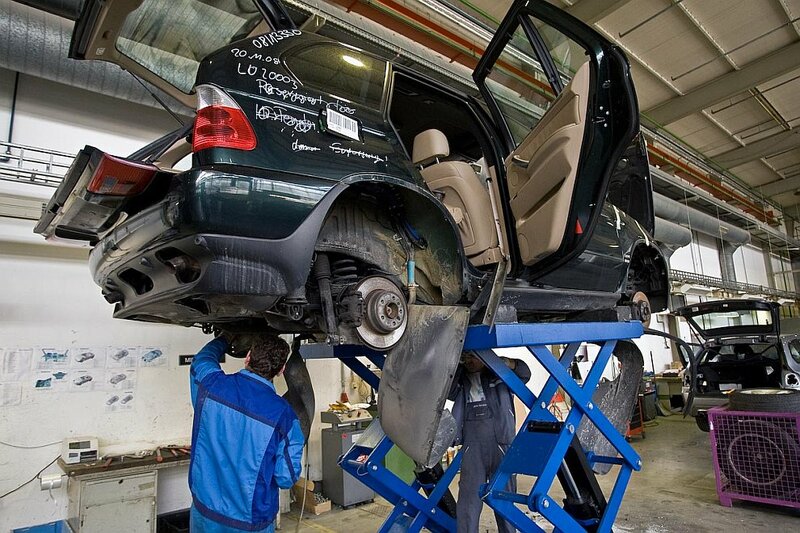 Using special hand press, gas shock absorbers are neutralized. 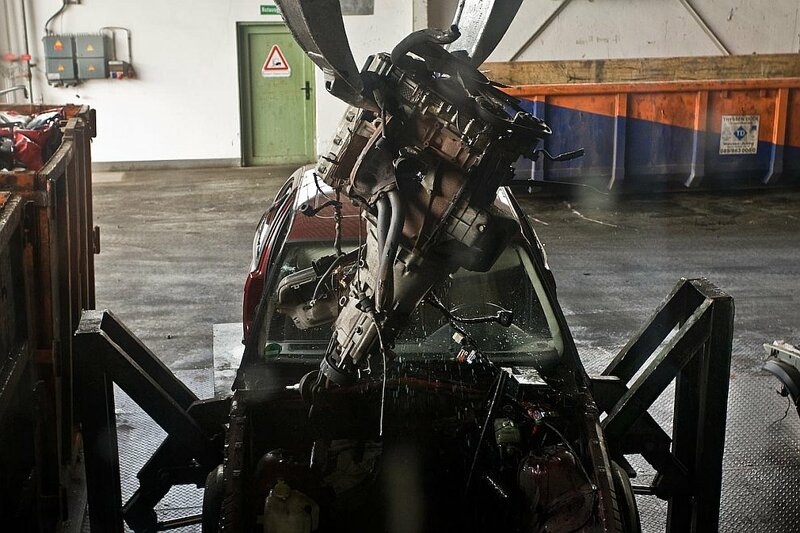 On some cars, the engine is removed for further use. In the workshop, where the press works, the cars are waiting for their last hour. 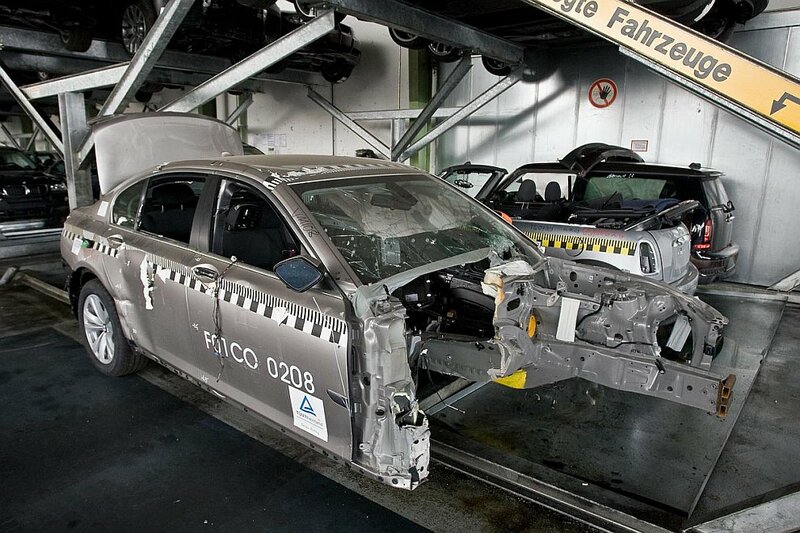 This was once used in the crash test. 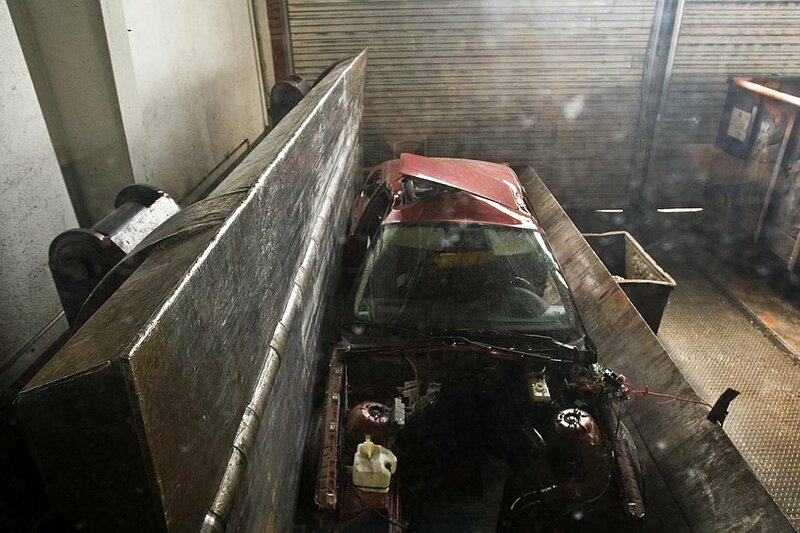 Iron hook tore out the heart from car body with a crunch. You feel a knot in your stomach more and more. 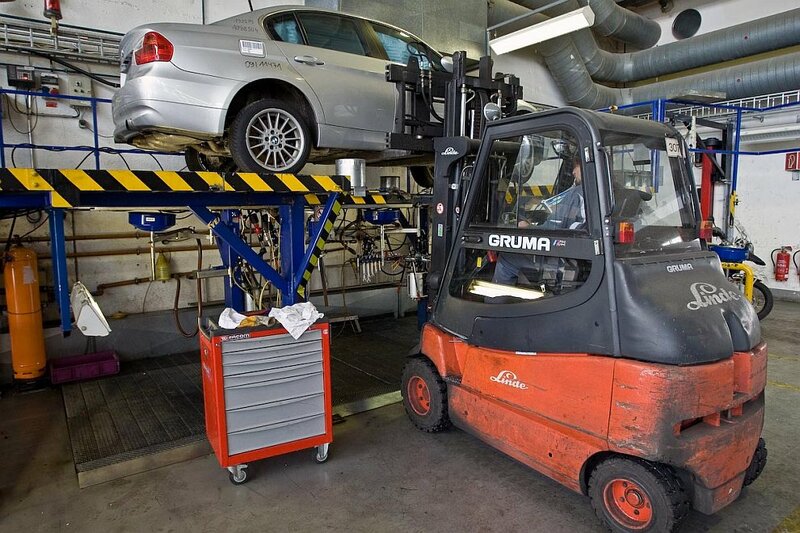 That’s it, the car now is a small cube, which the same ruthless steel of the crane will throw in an iron container and it will go to the crusher. 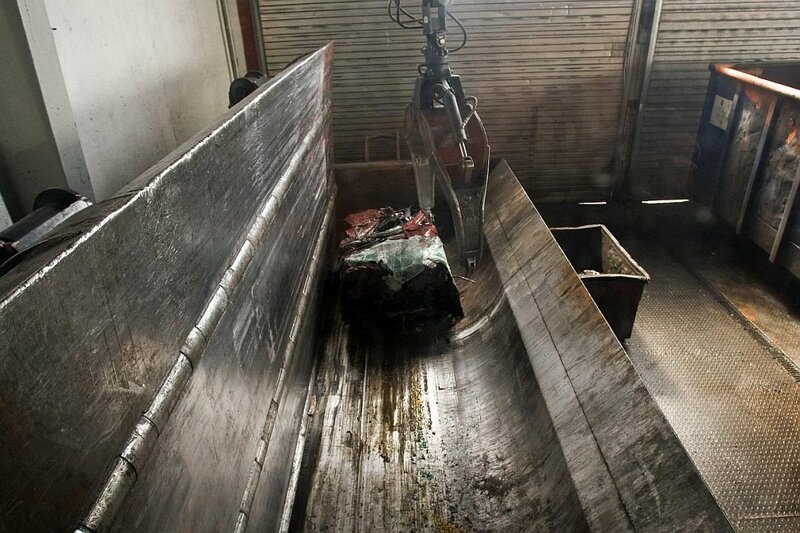 Absolutely everything will be further used – metal parts will be remelted, fabric, leather, polyurethane foam will be crushed into a powder and used in production. This cute cube, into which one of tested MINI once turned, is standing in the lobby at the entrance. Within a couple of days here you can pick the exhibits for the whole exhibition of contemporary art. 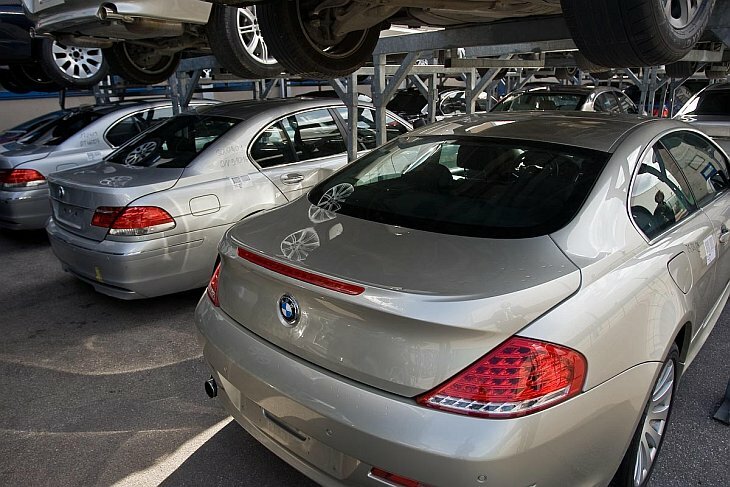 BMW annually recycles 4,000 of its cars this way. They tell that almost every employee of the centre is initially under stress. To destroy a creation of human hands, and moreover of this kind is a tough test even for professionals. And then, they say, it’s OK, people get used to it. And a little video for those who want to see a bit more.